June 2, 2005 - Meet the Pimps in Philly! This weekend, June 3rd - June 5th, come down to Wizard World Philadelphia and meet Joe Phil and Irv, the Digital Pimps. We'll be way back in Artist Alley, table 2094, so once you're done getting free tickets to Batman Begins and waiting in line for Seth Green's autograph, come back and meet us. 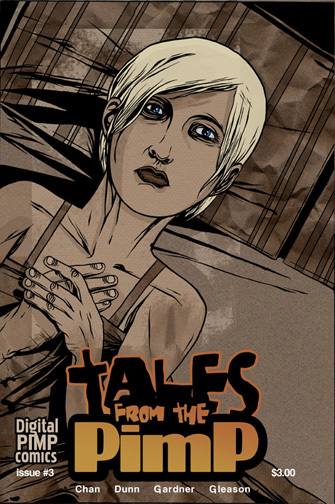 Plus for the first time ever you'll be able to pick up Tales From the Pimp issue 3. We'll have it at all the other shows, but admit it. You want it now. Get it in Philly before it goes on sale online!